For an independent podcast, this show is remarkably well attuned to narrative flow and immersive sound design. The original music by Matshidiso creates the perfect atmosphere to the narratives - pushing the listener to feel both patience and suspense. More importantly, the show - like Eddo-Lodge’s book ‘Why I’m No Longer Talking to White People About Race’ - is driving a larger, much needed, conversation about the context surrounding what it means to identify as black in Britain. From topics such as institutional racism to the concept of ‘political blackness’, this podcast brings intersectionality to the forefront, explaining why the two ideas of white working class and multiculturalism can be in conflict with each other. Actor Riz Ahmed, journalist Owen Jones, musician Akala and other intelligent interviewees intertwine their own experience of racism with these central ideas. 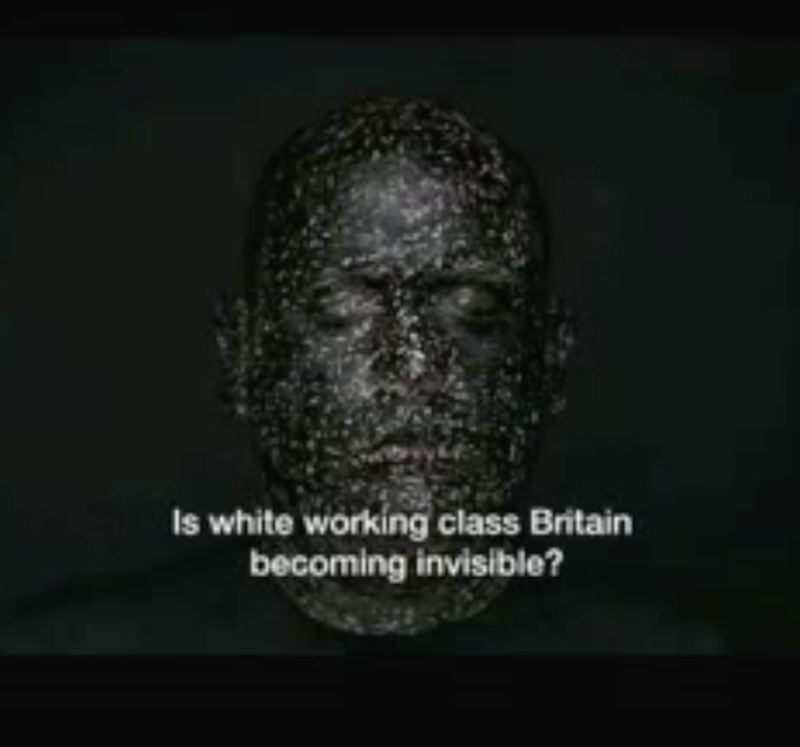 Grainy screenshot from the trailer to BBC 2 series ‘White Season’, dissected in this podcast. The background music to this trailer is a version of ‘Jerusalem’. The podcast’s strength is in its careful, well-researched accounts of how critical junctures in recent political history moved the national public conversation about race from ‘diversity is our strength’ to ‘we’ve had enough of this’. This strength brings an urgently needed understanding to what is convincingly argued to be a complacent nation. Expositions on de-industrialisation in Dagenham, disillusionment with New Labour (#2 White Season part 1), BBC 2’s controversial ‘White Season’ (#3 White Season Part 2) and what the concept of ‘wokeness’ really means (#8 The Anti-Racist Renaissance) bring diverse perspectives on how race has been talked about in the UK. The podcast then takes one step further and explores how these public conversations affect what it can mean to be from an ethnic minority. If history is its strength, the final episode’s exploration of contemporary policy topics is its downfall. The first eight episodes easily deserve a five-star rating. However, in the last episode (#9 The Big Question) too many topics are combined and are not explored in enough detail, leaving the listener with more questions than answers. Matthew Bolton, the deputy director of Citizens UK, describes how aid often goes wrong despite people’s best intentions. He then characterises the policy-research or ‘expert’ approach to aid as overly paternalistic and unhelpful, arguing that people should instead directly ask the people they want to help. This strong opinion - and a few others - are left unquestioned and unexplored in the episode, serving to undermine the overall takeaway. If one thing had to change? Either the ideas in episode 9 should be explored in more detail - and perhaps split into two episodes - or scrapped entirely. The first eight carefully portrayed episodes and the overall authoritative voice deserve a more congruent ending. Four stars.